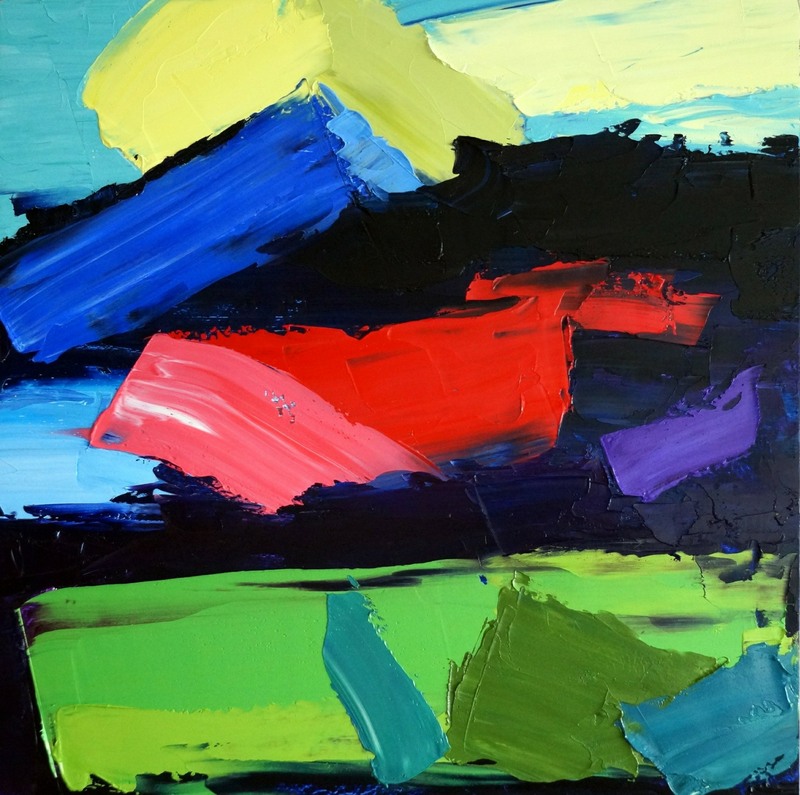 An exhibition of abstract paintings by Nigel Shipley, and a performance of live music and poetry readings inspired by his paintings. The performance will be by Bristol Tonic, a group of poets and musicians. They will create new works which will each be a response to an individual painting and will perform the music live and give poetry readings in the gallery. Performance from 7.00 – 8.00 p.m. The exhibition can be viewed by appointment until 1st November, ring 07909874586 to arrange this. “Nigel Shipley has been a firm fixture on Bristol’s art scene since beginning his Bristol Cityscapes series in 2004. Using bold brushstrokes and his own luminous sense of colour, he captures the urban landscape’s spirit as well as its appearance. An avid curiosity and skilful use of controlled and uncontrolled accidents influence the direction of his work, imbuing his finished pieces with a sense of organic energy” Judy Darley, http://www.skylightrain.com/nigel-shipley-art/ August 2018.